During the fifth and sixth centuries A.D. there arose on the Euphrates frontier, between the empires of Rome and Iran, a city girded with glittering gypsum walls. Within these walls stood a great church, a shrine for the relics of Saint Sergius, who was martyred there, at Rusafa, in the early fourth century. Around Rusafa stretched the "Barbarian Plain," inhabited by Rome's Arab allies, many of whom revered the saint. 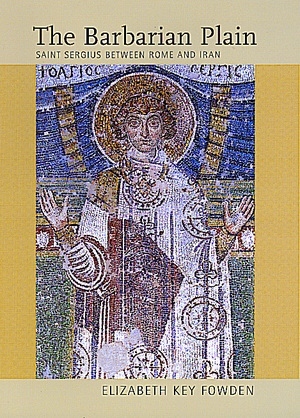 Elizabeth Key Fowden examines the rise of the cult of Sergius in late antiquity, drawing on literary accounts, inscriptions, archaeology, images, and the landscape itself to construct a many-faceted picture of the role of religion in this frontier society. Focusing on the socio-cultural as well as the political dimensions of the Sergius cult, her study sheds light on the lives of the ordinary faithful, as well as on religion's place in the strategic calculations of hostile empires. Beginning with a detailed analysis of the surviving accounts of the martyrdom of Sergius, Fowden provides a discussion of Syrian Rusafa-Sergiopolis, traces the spread of the Sergius cult in Syria and Mesopotamia, and provides a provocative interpretation of the relation between the saint's presence at Rusafa and his role in frontier defense. She also discusses Arab Christianity in the context of late Roman culture in the East, as well as the continuation of the Sergius tradition after the Muslim conquest, emphasizing the changes and continuities brought by the rise of Islam. Elizabeth Key Fowden is a Research Fellow at the Center for Greek and Roman Antiquity in Athens, Greece.